IMPORTANT: Producers who are completely devoid of U.S. representation (excluding Puerto Rico) may submit products for review. Products submitted by producers that have any current U.S. representation, even in just one state, will be deemed ineligible for tasting, and the submission fee will not be reimbursed. 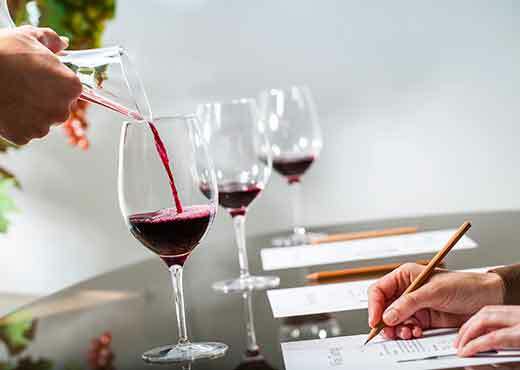 Products reviewed in the Wine Enthusiast Importer Connection program are not eligible for review in Wine Enthusiast Magazine. Barrel samples are not eligible for review; only final/finished wines are eligible for submission. All products must be properly labeled with final images; handwritten or sticker vintage changes to official product labels will not be accepted. Each vintage wine may only be submitted once for review. Prior to shipping wines for review, all submitters must complete an online application for participation and await approval to ship samples. There is a $370 charge per wine for submitting products. In addition to the $370 submission fee, producers will be responsible for any international shipping costs, import taxes, and U.S. customs filing and handling fees incurred, which will be billed separately by our preferred clearing house, The American Spirits Exchange Ltd.
Once cleared and received, all products will be reviewed and published in the Wine Enthusiast Importer Connection newsletter as well as online in the searchable Wine Enthusiast Importer Connection database. Ready to submit your product for review?